SWCSD Education Your Style from SWCSD Career Tech on Vimeo. SWCSD What's Your Plan? from SWCSD Career Tech on Vimeo. ﻿From digital electronics to early childhood education, to fabrication, radiology to radiant energy, and everywhere in between, Career Technical Education helps students learn skills for the future. By the time the students graduate, they will have earned an education founded on rigor, career certifications, and on-the-job experience. The South-Western City Schools Career Technical Programs prepare students for two-year and even four-year colleges. 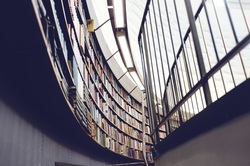 P﻿rograms are available at the district's four home high schools and the South-Western Career Academy. 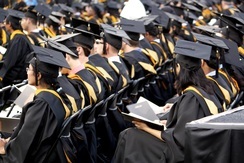 Typically, two years in a single program are required to earn at least five credits, so students should choose carefully during their sophomore year for a two-year commitment to a program. Students coming out of each of these programs have the upper hand in landing a job because there is such a high demand in today's job sector for these skilled trades. For more information on Today's Career Technical Education, click on the About tab and view the videos, or click on the High School tab to read more. VEX Robotics and STEM Summer Camp 2019 is Approaching! Another Career Day in the Books! Congratulations to Central Crossing High School Innovation and Entrepreneurship Students for Taking First Place at our 2nd Annual Pitch Night! Pictured with our judges are winners Tyler Johnson and Lauren Lynn for the app Odd Jobs. ​Clay Miesse and Cameron Wilks both placed in the digital publishing event at the BPA state competition. Cameron placed second, while Clay placed fourth. Both will move on to compete at nationals. Good job guys! 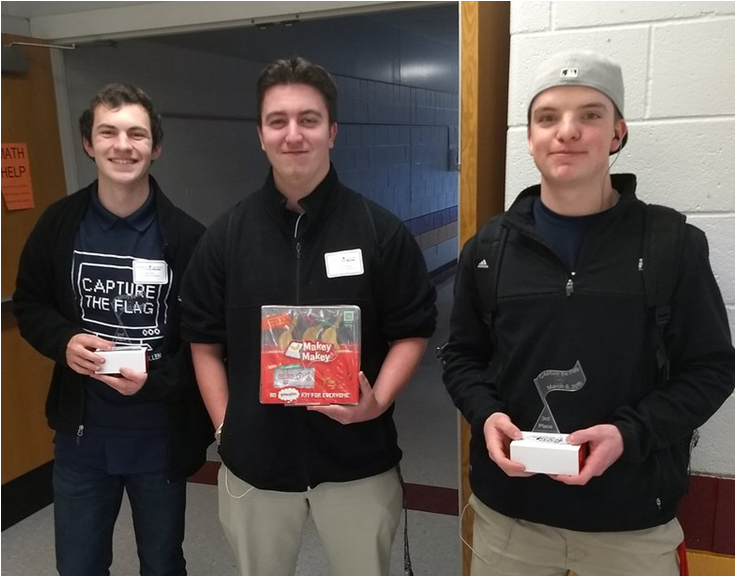 Twelve students from the Cyber Security program competed in a "capture the flag" event hosted by the Ohiio Cyber Collaboration Committee and Westerville City Schools in conjunction with the Ohio National Guard. In the event both high school and college students from several schools were given several networks to protect. For about half of the twelve students who attended, it was their first experience with this type of blind challenge. Cameron Metzger, Jacob Kifer, and Cody Ford placed 2nd, 3rd, and 4th respectfully. Way to represent the South-Western Career Academy! Jordan Simmons and Jefferson Martinez's finished in 5th place with their "Sweet Heat" burger in the State Burger Battle Championship this weekend at the Pro Start Invitational. The Culinary program fielded three teams for the 28 school Pro Start Invitational. The Hot Food Team finished a respectable 13th place amongst a loaded field of past national champions. Congratulations to first time contestants Adrian Gasca, Kyrah Stephens-Brown, Angeline Morales, and Jefferson Martinez. The SWCA Management Team came home with a 3rd place finish in a very close contest for the top spot. Congratulations to Team Capt. Taby Stone, Stacy Suero, Khiayla Powell, and J'Ana McGimpsey for there hard work and dedication! Individual Honors from the invitational also included: Adrian Gasca with a 3rd place finish in Top Knife Skills and Taby Stone with a 3rd place finish in Top Management. Outstanding Job and Results for the SWCA Culinary Teams! Students from the Electrical Trades Program recently attended workshops at the Electical Trades Center of Central Ohio located in Columbus, Ohio. Students were able to learn from professionals and work together with hands-on activities that will prove valuable in their continuation of the program. 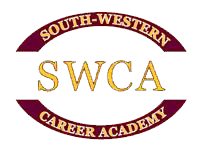 The South-Western Career Academy is Now on Twitter--Follow Us!